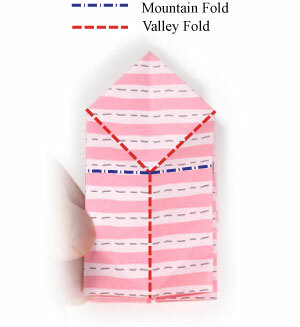 Apply a vertical valley-fold of the step #14. Prepare to apply an "outside reverse-fold" and two mountain-folds. Apply the "outside reverse-fold" and two mountain-folds of the step #15. 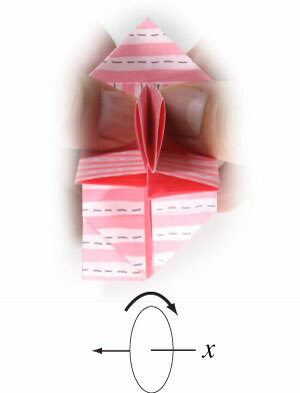 Prepare to rotate the origami lantern model by about 30 degrees.